IChef is located at a new six (6) level building situated at De Jesus Street, Davao City, Philippines. The 3,000 square meter floor area is fitted with the most modern and state-of-the-art culinary equipment and hospitality facilities for a globally competent training delivery. Internationally renowned and multi-awarded Master Chefs will work with you hand-on-hand in preparing the world’s greatest cuisine thus making IChef the Premier Culinary Arts and Hospitality School in the country. Seasoned Culinary Chefs will work with you one-on-one to teach the hands-on skills and secrets used in preparing the world’s greatest cuisines in culinary laboratories equipped with industry-standard equipment and tools. 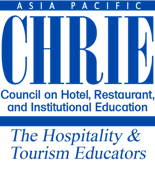 Working in partnership with Professional Hospitality Industry Leaders, IChef will prepare students to perform the management and operational tasks necessary for them to start a successful career or businesses in the hospitality arena. NO OTHER HOSPITALITY OR CULINARY SCHOOL CAN MAKE THE DIFFERENCE! International Credentials and Diploma - IChef had partnered with Workskills Australia and the American Hospitality Academy for students to study in Davao City and earn Australian Qualifications and Diploma which is recognized and accredited worldwide. Innovative - practical learning with extensive social, professional and interaction skills. 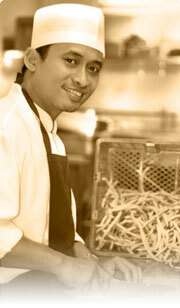 Distinguished - learn with Hospitality Professionals and Experienced Chefs and Culinary Masters in our production kitchens. Personal - achieve your goals with customized diploma or degree programs that fit your schedule and your career goals. Entrepreneurial and Business Skills - theories and practical applications of setting up your own business with the right "business sense that works". International Work Place Experiences - IChef will continuously forged partnerships with leading hotels worldwide for more working and training opportunities for our graduates. 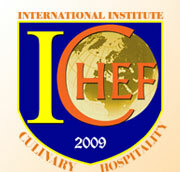 IChef offers a curriculum that teaches students the academic, technical, and interpersonal skills necessary for building their own businesses in culinary and hospitality. Maintains "hands-on training" as the foundation of our educational philosophy. Practical application in well-equipped kitchen and computer labs coupled with theoretical reinforcement in the classroom allows students to acquire substantial knowledge in Hospitality and Culinary management.